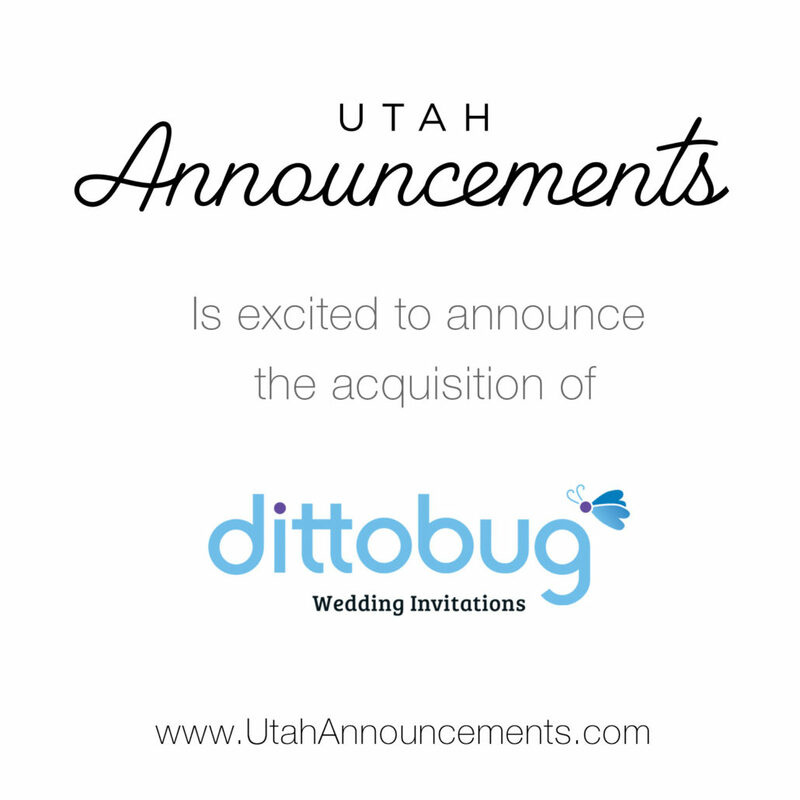 Utah – Feb. 23, 2017 – Utah Announcements, Utah’s leading wedding invitation company, is excited to announce its acquisition of Dittobug, a wedding invitation company based in Cedar City, Utah. Utah Announcements’ goal is to provide high quality, custom wedding invitations at an affordable price to Utah brides through online tools and stress free processes. Dittobug will help on this path as it expands Utah Announcements’ reach to more brides in Southern Utah and the United States. This acquisition allows Utah Announcements to expand its design portfolio, add additional designers to the team, and provide additional support members to help with the growing demands of the business. Since 2010, Dittobug has strived to offer quality customer service, great prices, and custom designs to give brides control over their wedding invitations. Utah Announcements has these same goals and taking over Dittobug will be a wonderful and seamless transition. Utah Announcements will carry on the Dittobug Wedding Invitation mission while building upon it. All sites and social accounts owned by Dittobug will redirect to Utah Announcements and operate under the Utah Announcements brand. Utah Announcements was founded in March 2013 with a goal to provide customers with an affordable option that doesn’t compromise quality. All wedding invitations can be fully customized working 1-on-1 with a professional designer. All orders include free shipping and envelopes. To stay up-to-date on all things Utah Announcements, visit the website at www.utahannouncements.com.